The world is urbanizing at an unprecedented pace. Once dominant, rural and agricultural populations are now city-bound as people seek new job opportunities and better living conditions. In 2003, I proposed the future malleable, responsive, illuminated city as part of my curriculum at New School/Parsons School of Design’s Designing Urban Nighttime Environments based on “shades of night“. At that time urbanists and the real estate industry popularized the phrase “24/7” (hours/days per week) to invoke vitality. It was my sense that as nighttime activities and flexible working hours increasingly redefined urban experience, greater emphasis should be focused on illuminating the after-dark environment. Now, “smart”, electronic systems for adaptable, sustainable cities are emerging. These systems control illumination so that light is switched on and off, or dimmed, to save energy. I propose to broaden the criteria to encompass social sustainability factors such as public health and economic development. Within this vision, local considerations — real-time activities in the nighttime public realm such as shops open and closed, types of building usage — factor into lighting control plans. The first step is to understand existing conditions in specific vicinities. In 2009, as an outcome of my guided student tours, the NightSeeing, Navigate Your Luminous City program was invented to present both an observational and critical review of “what is”, i.e. existing conditions of night-zones, through walking tours with the public, stakeholders, and professionals to encourage transformational public design palettes. NightSeeing is a method of gleaning community needs and desires for districts undergoing revitalization. The program continues to develop globally, providing an opportunity to compare cultures of light and illumination, sharing with colleagues, friends, and strangers all over the world. 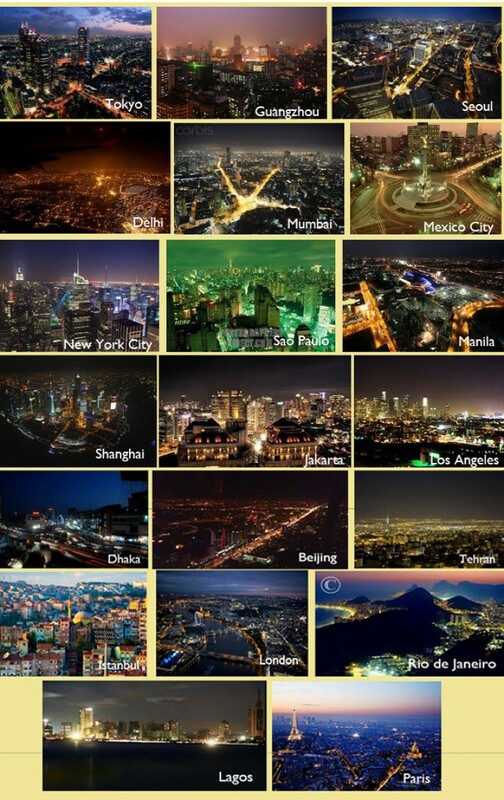 My objective is to walk all of the mega-cities in the near future. NightSeeing is a preparatory, experiential move. The intent is to raise awareness of all stakeholders that effect — and are affected by — light in the city. It aims to educate the populous, and the power-broker, with an aim toward safe and creative nights in the public realm. Video of the actual London LightWalk, Part 1 and here, Part 2.